We’ve got a brand new trick to getting out of debt! All you have to do to free yourself forever from the crushing weight of repayment is — wait for it — die. OK, no, that’s terrible advice. Please don’t take me seriously. Unfortunately for many American consumers, though, dying with debt is a sad reality. In fact, 73% of Americans are leaving behind some pretty big deficits, according to a new study from the folks over at Experian and Credit.com. And we don’t mean just a little balance on a rewards card, either. The study pulls from Experian’s FileOne database, which includes about 220 million American consumers. In total, the deceased debtors carried an average of $61,554 in amassed debt. After taking mortgages out of the equation, the average balance dropped to $12,875. That’s a little better, sure — but still enough to keep you up in the (eternal) night. Only about 37% of debtors died with mortgages, however. A hefty 68% of the people included in the study died with credit card debt, while another 25% were paying off auto loans. I say “surprisingly” because, man, sometimes I feel like student loans will haunt me forever — but IOUs aren’t valid in the great beyond, right? So what do we do now? Do we just accept this as our new reality? Do we just live in a perpetual state of debt-stress until we die? And will we have to leave our loved ones to sort out these financial messes when we go? Well, no — at least we don’t think it should have to be that way. While a mortgage is a bird of a different feather (although with some serious strategizing, you may be able to pay your loan off quicker! ), there are ways to get on top of your other debts while you’re still kickin’. Start by tackling those high-interest credit card balances by using the snowball or avalanche method. Don’t think you can spare the extra cash for payments? Check out these stories of people paying down their debt using some pretty practical methods. You shouldn’t have to live with debt — and you certainly shouldn’t have to die with it. 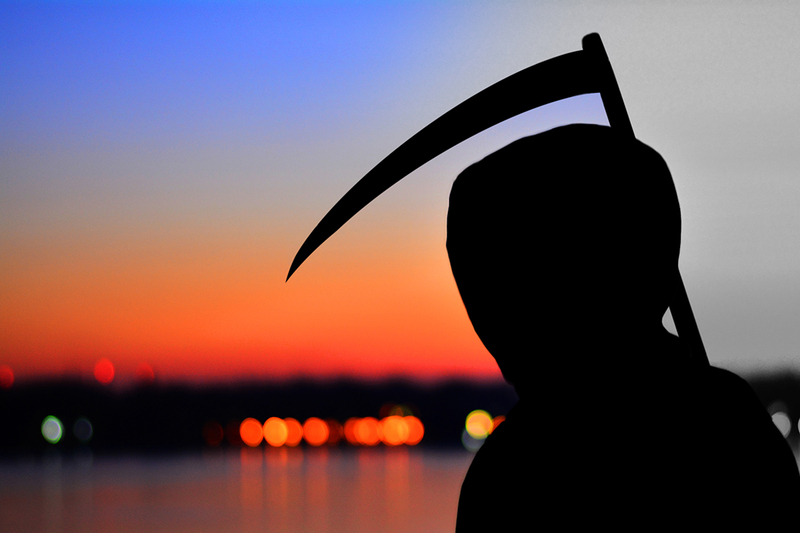 Your Turn: What strategies (besides befriending The Grim Reaper) are you using to get out of debt? Grace Schweizer is a junior writer at The Penny Hoarder. She plans to use less radical strategies to pay off her student loans.